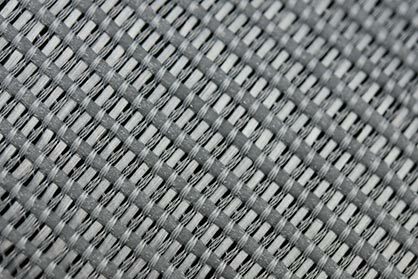 KARL MAYER is showcasing warp-knitted textiles having an exceptional level of performance in hall 3.0/E 18 at Techtextil 2019 in Frankfurt. On show will be products with integrated electrical conductivity and shaping characteristics from the new TEXTILE MAKERSPACE platform, an extremely efficient textile solution for protecting buildings, and a completely new generation of warp-knitted spacer textiles. KARL MAYER is also inviting people to attend an in-house show, to be held at the same time as the fair, at its headquarters in nearby Obertshausen. This event is easily accessible by bus transfer and will be premiering a new nonwovens machine for the visitors. KARL MAYER is also a trendsetter in the field of digitisation. This manufacturer has grouped all its digital solutions under the KM.ON brand, and will also be showcasing this system on its stand at the Techtextil. 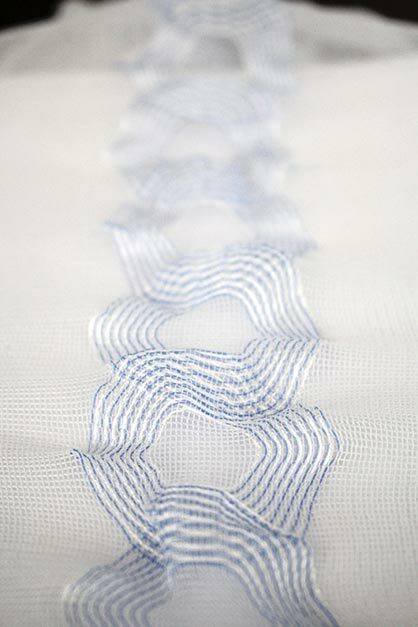 ILE CIRCUIT, another element of ILE MAKERSPACE, shows the potential of warp knitting here. Conductive zones offering maximum flexibility in terms of geometry, dimensions and location can be produced on KARL MAYER’s multibar raschel machines. Examples include inductive charging stations and the remote control of robots, and these are being demonstrated at Techtextil. A model in the new RACOP-NW series will be demonstrated at an in-house show in Obertshausen at the same time as Techtextil. This efficient nonwovens machine produces stitch-bonded nonwovens from feed webs, a technology that offers many advantages. This process produces nonwovens having textile characteristics, such as elasticity and voluminosity, which is not the case when using chemical bonding agents. Furthermore, much less energy is consumed compared to thermal processes. In addition to these general advantages, the new RACOP-NW model also offers an exceptional cost:benefit ratio. It is also extremely flexible and can, therefore, be used in a variety of applications. A RACOP-NW, 160", gauge E 14, is producing a textile for the application area heating textiles at the in-house show.